Gardens are such a sweet place to celebrate any type event. 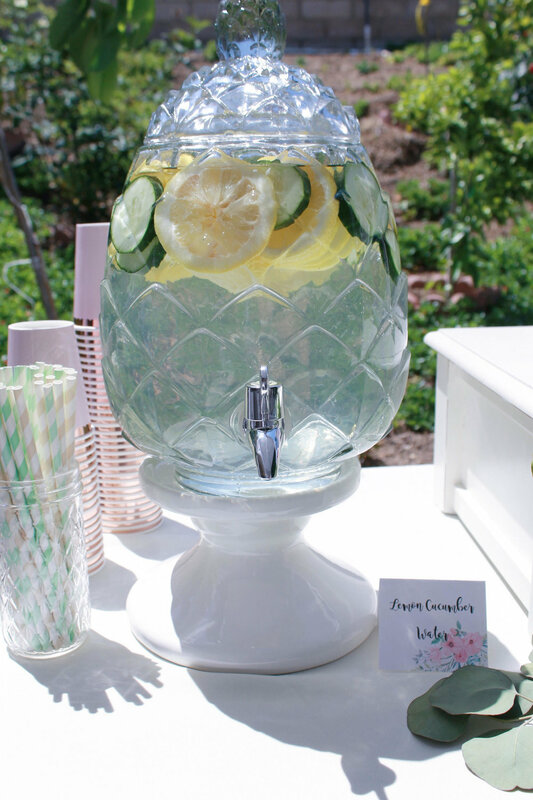 When I was asked to style this garden bridal shower I was so excited. I knew it had to be filled with lots of greenery and floral. By adding the smallest touches to each of the areas it really all came together perfectly. (even though everyone knows hehe). 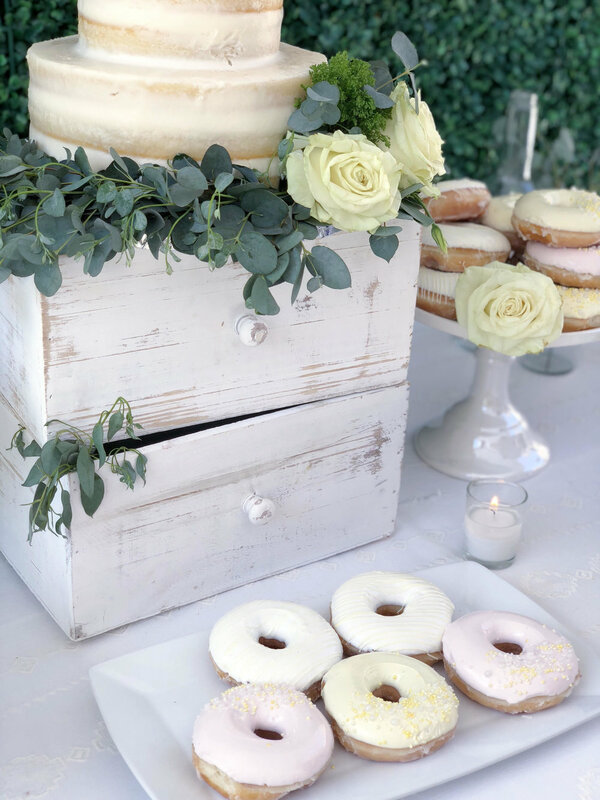 Since it is a garden party I knew by incorporating a little wood would go great with all the greenery and floral. I used a wooden frame that I found at Hobby Lobby. I chose to create a design that matched the rest of printable collection which you will see while as we move further along in the party. For the guest seating we skipped the arranged seat orders. 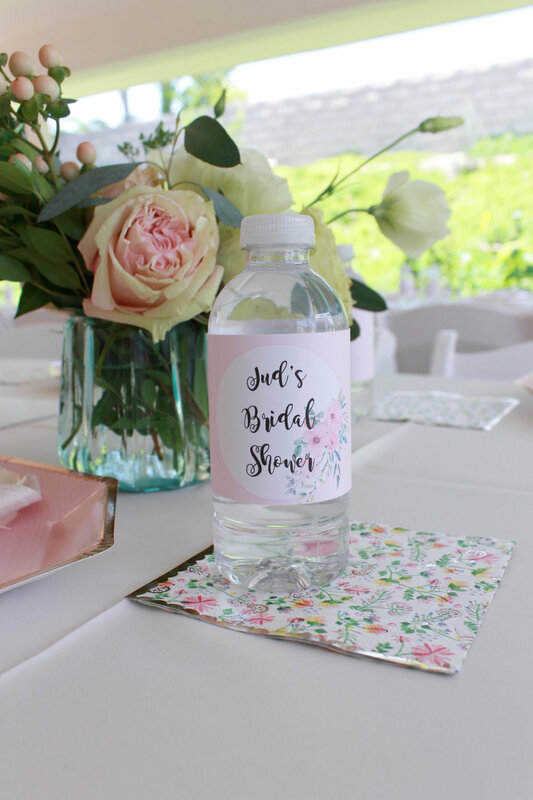 I designed water bottle labels that coordinated beautifully with the décor. 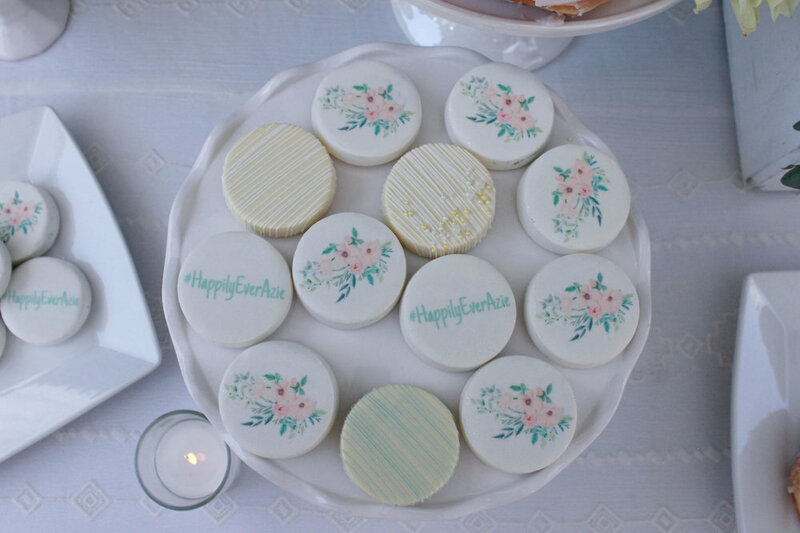 The utensils were wrapped and tied with a yellow and white twine with a small tag that says "Jud's Bridal Shower". This is what we call the "Hydration Station" the area that was probably used the most! I mean this summer heat just has me screaming! Ha, anyone else? 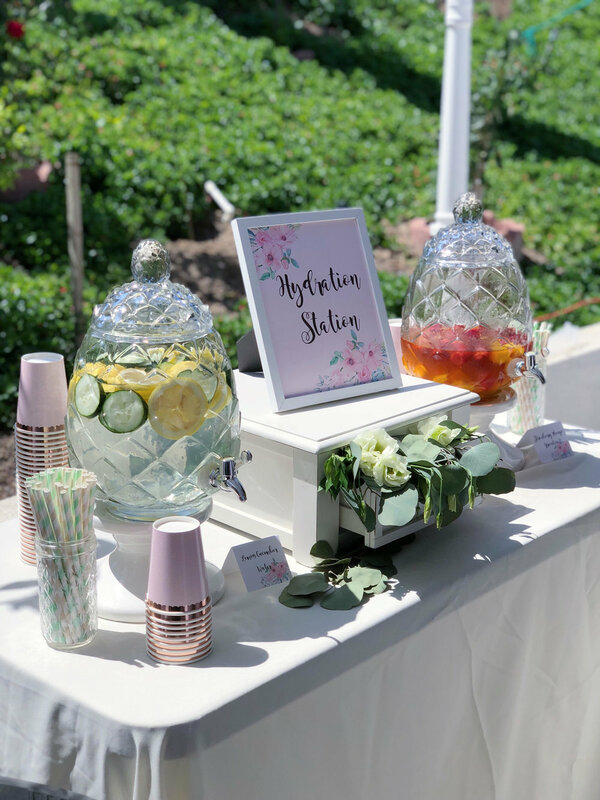 Thank God there were these yummy drinks for guests to cool off with. Slice lemons and cucumber and simply add to water. Add and mix Teavana Peach Green Tea and Arizona Green Tea together first. Then top off with frozen mango and strawberry. In the drawer I added some silver dollar eucalyptus and floral coming out, Wasn't it darling? 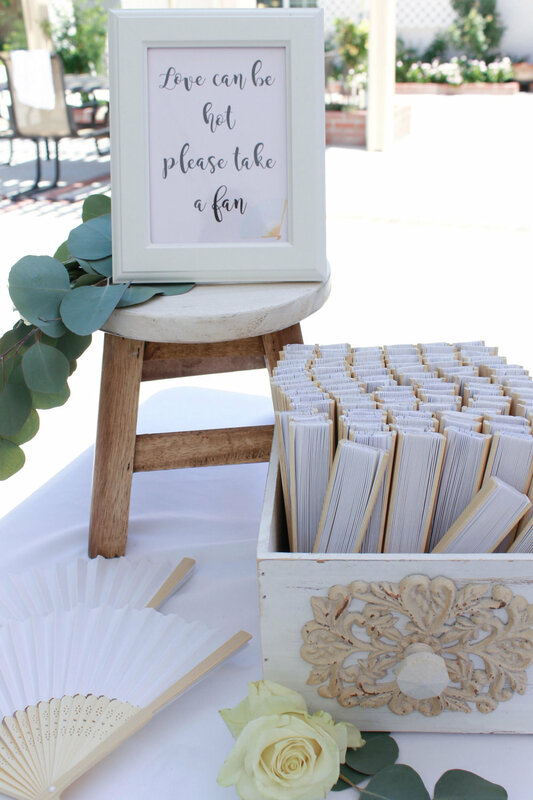 A sweet idea when hosting outdoors during the summer is to have hand fans for guests to cool down. These were definitely appreciated and put to lots of use during the party. 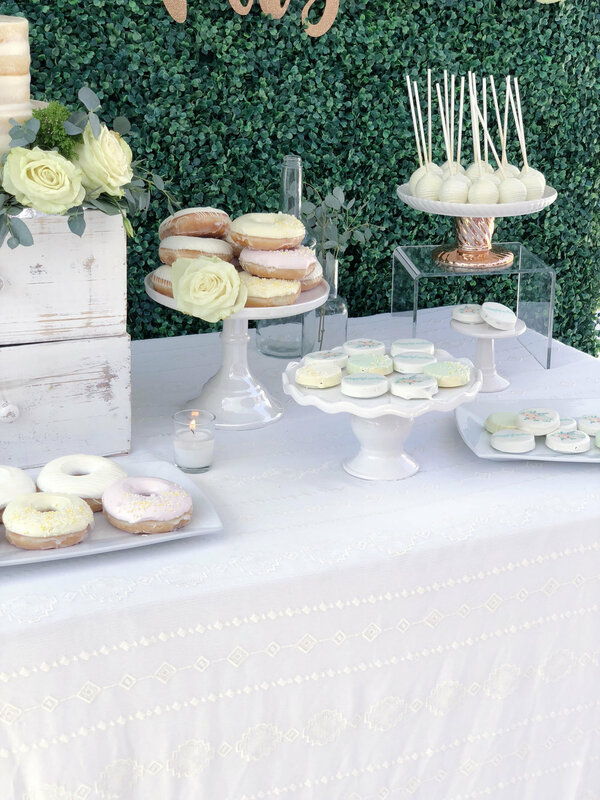 The dessert table was filled with yummy treats. 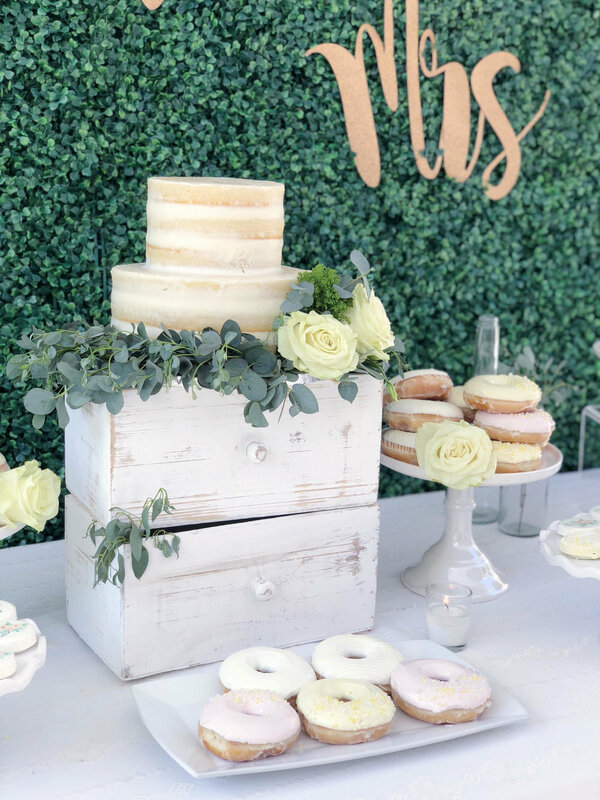 There were cake pops, chocolate covered oreos and decorated donuts. 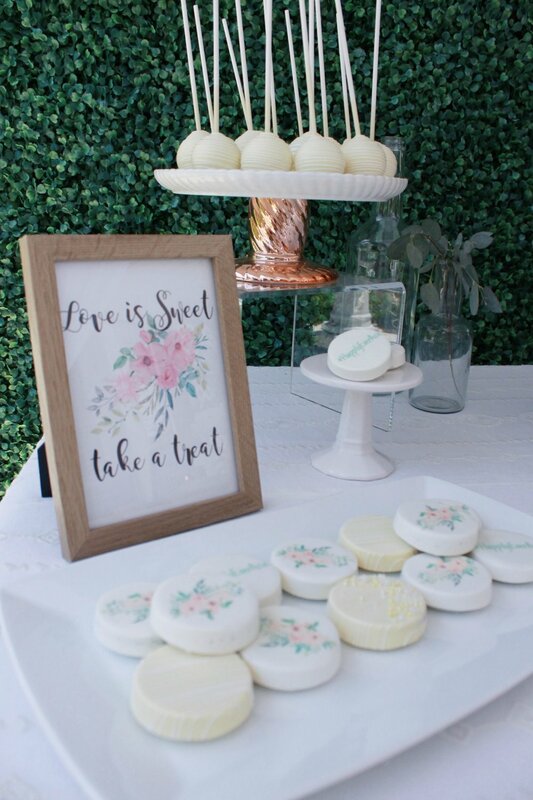 "Love Is Sweet Take A Treat" printable is available in my Subscriber's Party Place ! If you're already partying there then click to download. 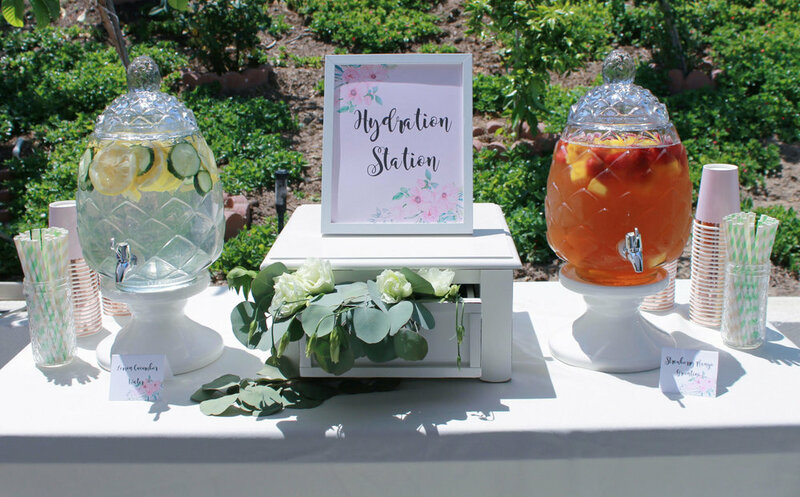 I hope you enjoyed and been inspired by my Bridal Shower party tour. I would love to know what you think! You can Pin this party right to your pinetrest or even better leave me a comment. I love being able to reply to you. Love This Party? Pin It! Shop My AMAZON page to find decorations from this party.